A morning of great Country Gospel Music followed by a delicious Harvest Dinner. 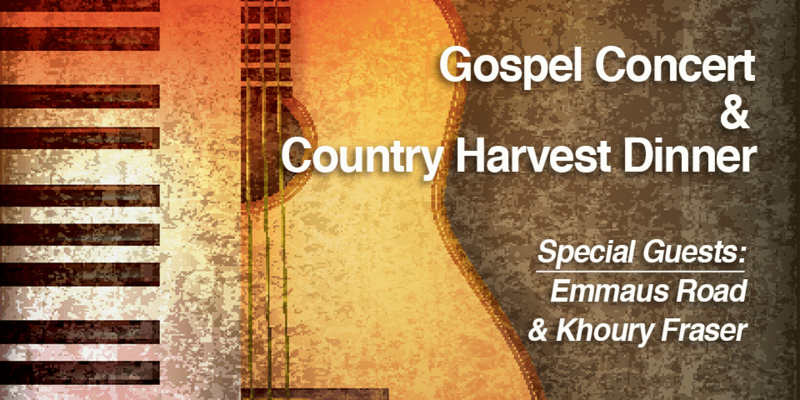 The morning’s concert will be performed by EMMAUS ROAD, a regional progressive and traditional southern gospel group, and Khoury Fraser, a young country gospel artist from Fredericton. The home-style dinner will be ham, beans, potato scallop, cole slaw, brown bread, drinks and dessert. Be sure to come and bring your friends who love country music & some good cookin’! The concert will be supported by a free-will offering and the dinner will be provided for a suggested donation of $5.